How much it cost for getting straight hairs permanently? Trend of straightening hair remained a big click from its inception. Why? Because firstly when we straight our hairs it look so smooth and neat and secondly it makes us look cool stylish and trendy. But does it mean we daily try flat iron every time we need to look good and up to date. If that is solution it mean I am going to burn my hairs very soon. If you want to get straight hairs all the time so go for permanent hair straightening. At that time hair straightening cream is our best solution. These are the creams that take frizz out of your hairs and make them look flat. If you want to get permanent straight hairs, you have to spend too much on maintenance products like you have to switch to particular shampoo, conditioners, serums, hair sprays and some other products. And it cost you round about 150 to 200GBP, which is not affordable to everyone. But having sleeker and shinny hairs are right of all so don’t worry Aliza have designed all hair products according to your needs and wants. It’s all hair products are designed to suit your hair type and are really reasonable. So you could get quality on very low rate. Aliza hair straightening cream is a product offered to you by Aliza that actually gives your hairs more silkier smoother and straight look in first use, it is water proof cream so it hold your straightening look longer more than any other marketed creams. So don’t think go ahead and avail this offer. Which product is best for smoothening hairs? Okay well if you are asking for hair product that would be best for making it smooth and shiny look. Choose the product according to your hair texture. If you have very thin hairs then go for products that target your hairs sensitivity. And if they are thick and strong enough you could go for all but with little bit care. Precautions are must for all. Aliza hair products are consumers based so ask for products by telling them your hair texture and nature if you are demanding online. Aliza beauty products are best for smoothening hairs and it would be proved true when you will try it. In market there are a lot of options to choose straightener. Aliza is offering you titanium hair straightener, titanium is actually a metal that is too much light weight and is demanding metal that is considered as a high quality straightening metal. Have you heard tourmaline? It is just like that, heats up by producing negative ions. So don’t get panic about heating up your hairs as heat which it is producing is not damaging your hairs. This is what everyone worried about straightener. Flat iron like Aliza titanium hair straightener can be used at very low temperature and it works efficiently even on low heat. So if your hairs are sensitive don’t get panic use titanium hair straightener without any stress. It will gives you trendy look with damaging your hairs and you could rock. Even if you have thick locks in your hairs it will take on your looks and give your hairs a silky look. Because silky smooth shinny and tangle free hairs are great achievement for all even for boys as well. 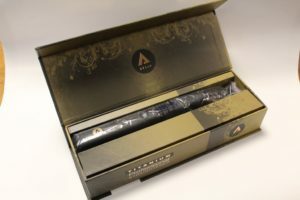 I used this straightener over my thick hairs, as ladies like me who have thick hairs need extra care for hairs if we want to look gorgeous and we know very well that it is very hard to manage them with ease and it took too much time to straight them, but Aliza titanium hair straightener make ease for me in handling my hairs. Its titanium plates protect my hairs from nasty tangles and heavy pulls, believe me it works. I am loving it. Aliza hair straightener is not only working fabulously but is prestigious in its look design and style. Have a glance over its black coated encasement cover with silver black titanium plates that by producing negative ions takes away all frizz. Its titanium plates are very durable than ceramic ones, it can be set to every temperature range that you want, provide as much heat as your hairs want to get straight, heats up very quickly that you don’t have to wait around tapping your toes and it get ready to work. It saves time and give you saloon look in no time. You can go everywhere with confidence and proud. And then share with your friends, family and dear ones about your experience and let them go for a best option. It’s a best solution for all hair types due to its ionic technology.